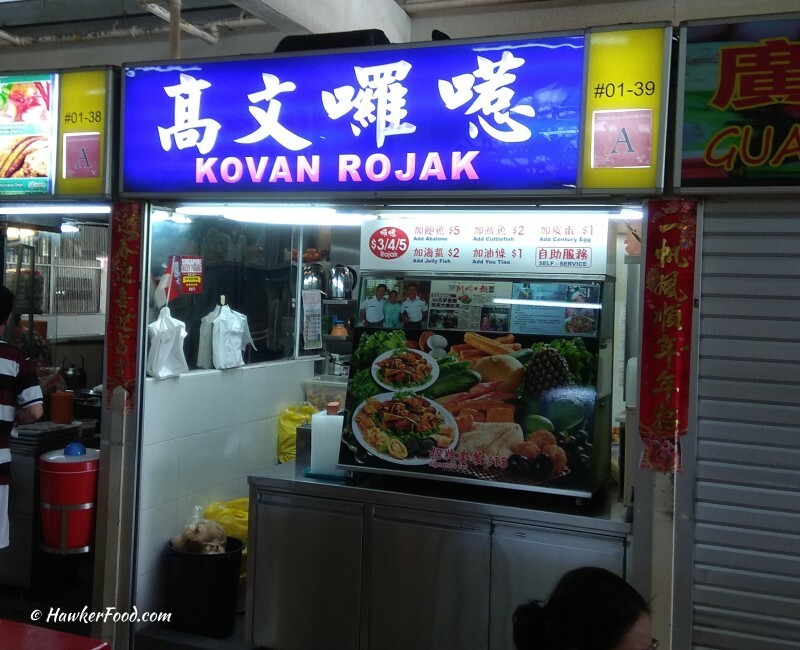 Whenever I want to get my rojak fix in the north-eastern region of Singapore, I would always head down to Kovan Rojak (高文罗惹) situated in Kovan Market and Food Centre. Their menu is very interesting with additional options like abalone, cuttlefish, jelly fish, you tiao and century egg. There is even a signature set at $15. 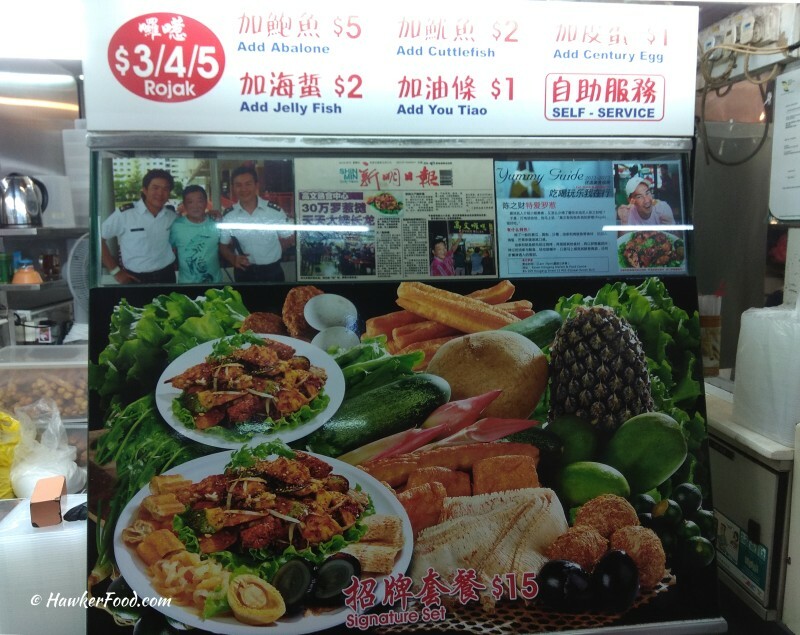 For me, their $3 basic rojak is more than enough to fill me up whenever I have cravings for it. A plate of $3 rojak gives you the standard ingredients of vegetables/fruit slices of cucumber, turnip, bean sprouts, pineapple, green mango and my crunchy favourites of you tiao (fried dough fritters) and tau pok (fried beancurd puff). For me, chilli is a must as it injects spiciness into the delectable prawn paste sauce. 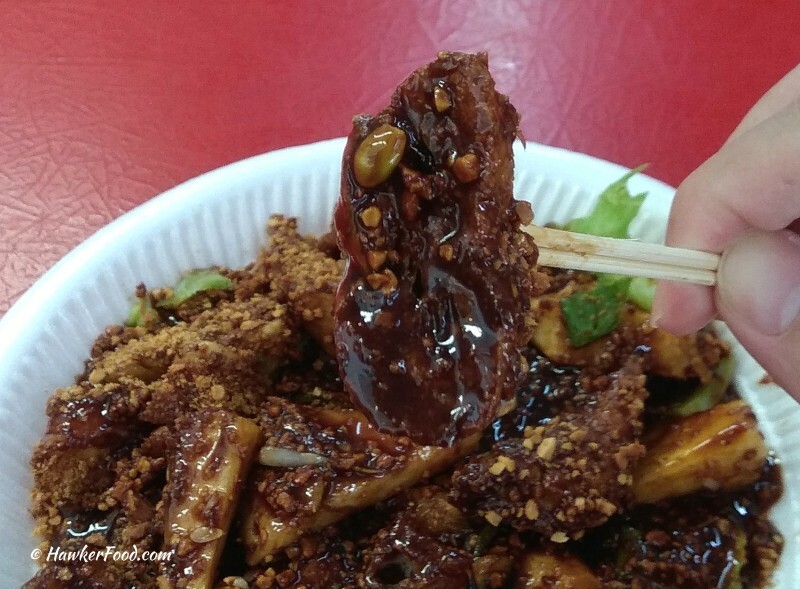 Adding the toasted peanuts into the mix creates this beautiful hawker food that smells and tastes so good. The final step is to squeeze the calamansi juice evenly onto the rojak to give it an extra zest. Never mind that the seed got stuck in my you tiao as I did not even realize it. The greedy me chomped all down within minutes. 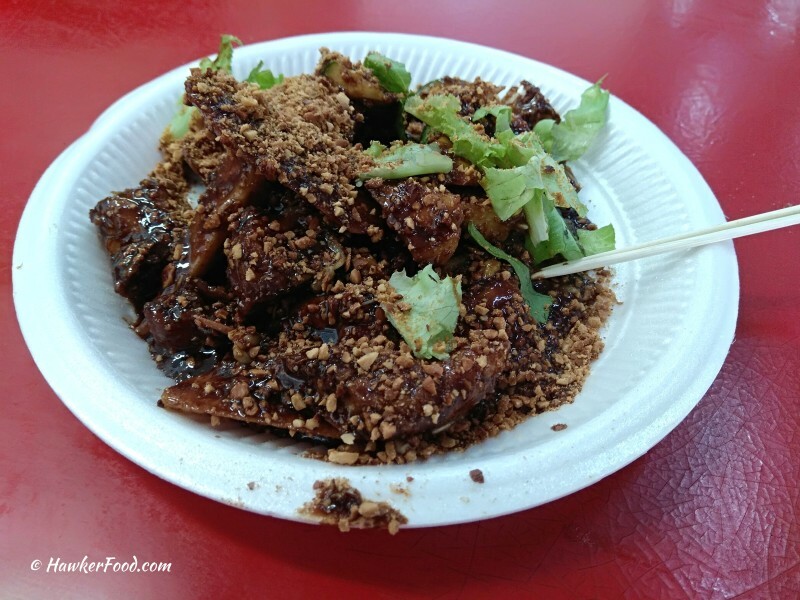 All in all, a very delicious plate of rojak that makes me go back for more. 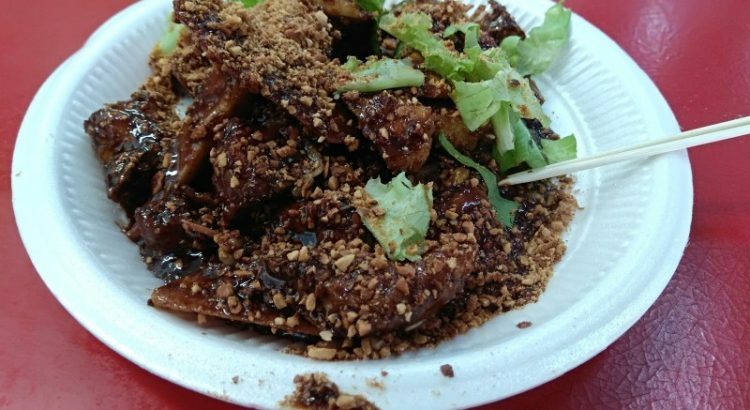 Do give this affordable and quality rojak a try if you are in the vicinity.